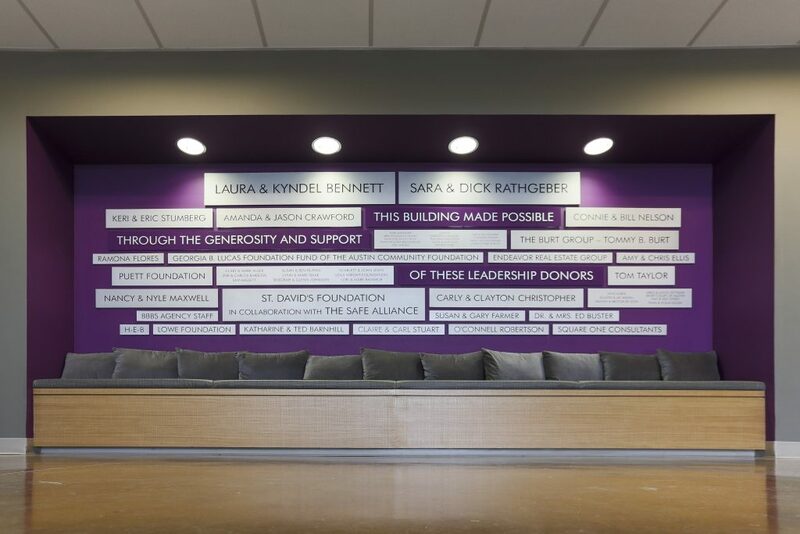 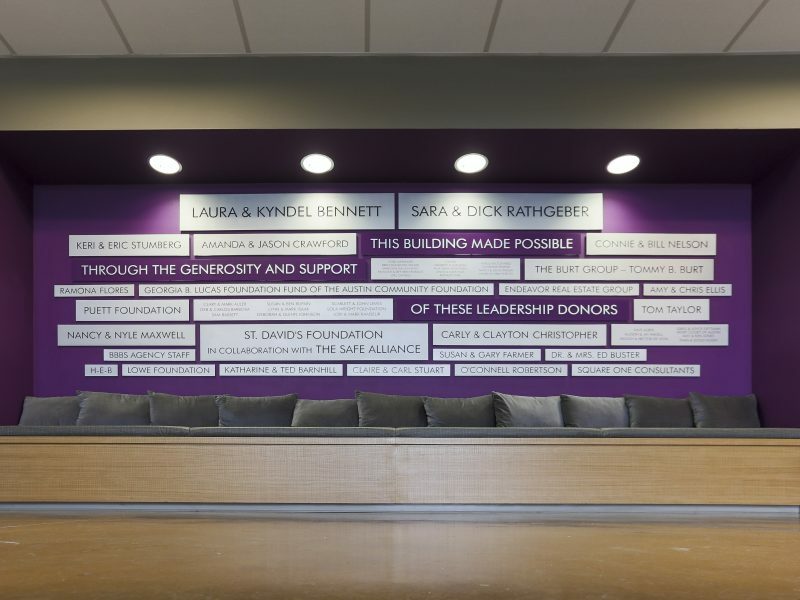 The Bennett-Rathgeber Mentoring Center was made possible thanks to the support of our generous Capital Campaign donors. 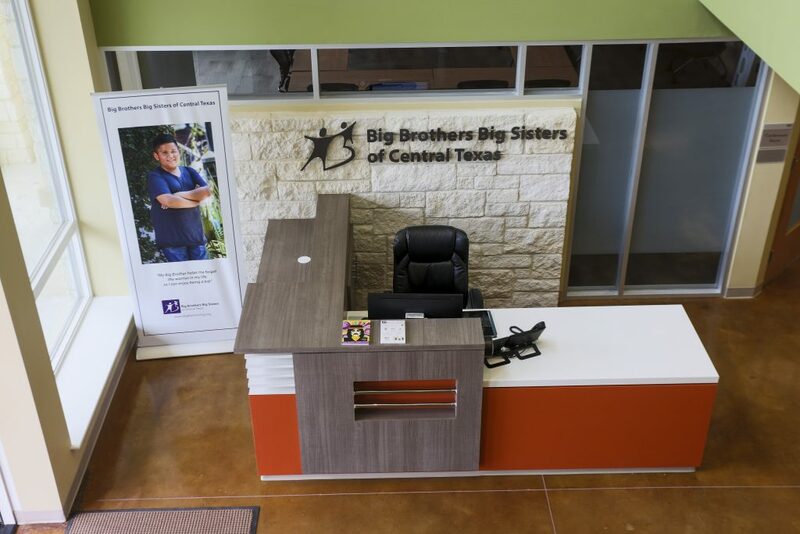 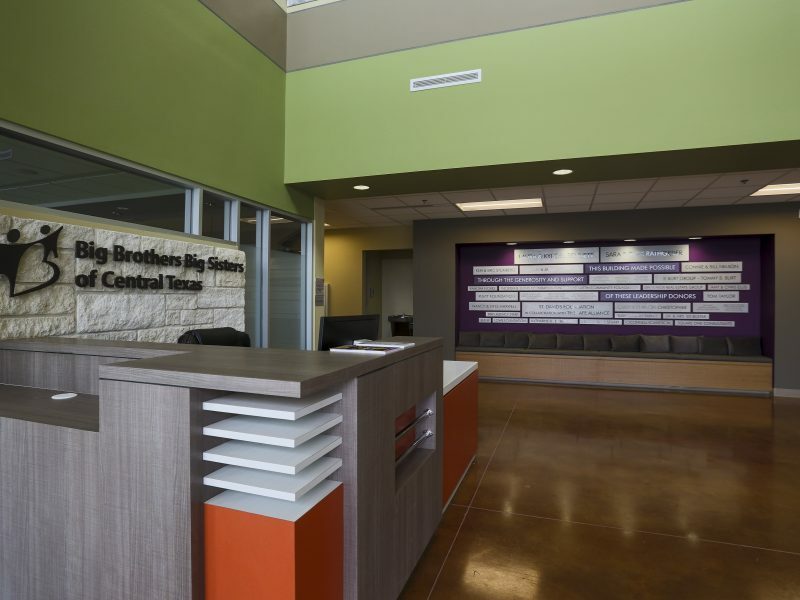 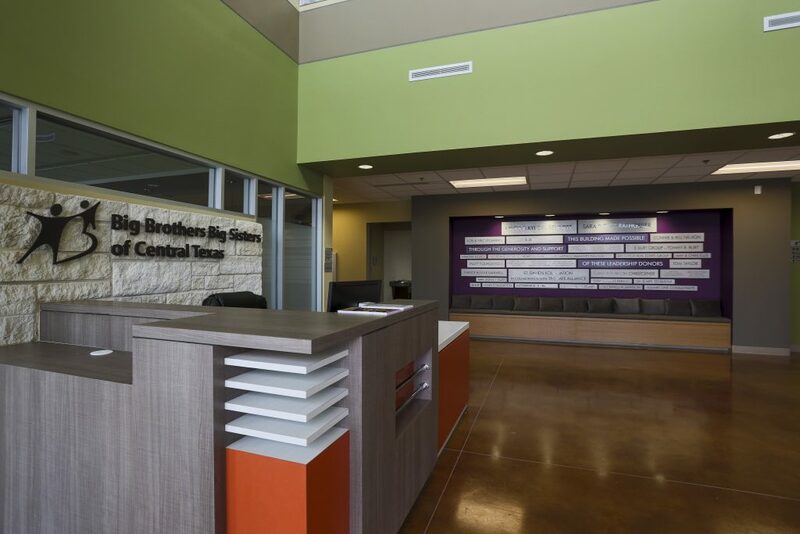 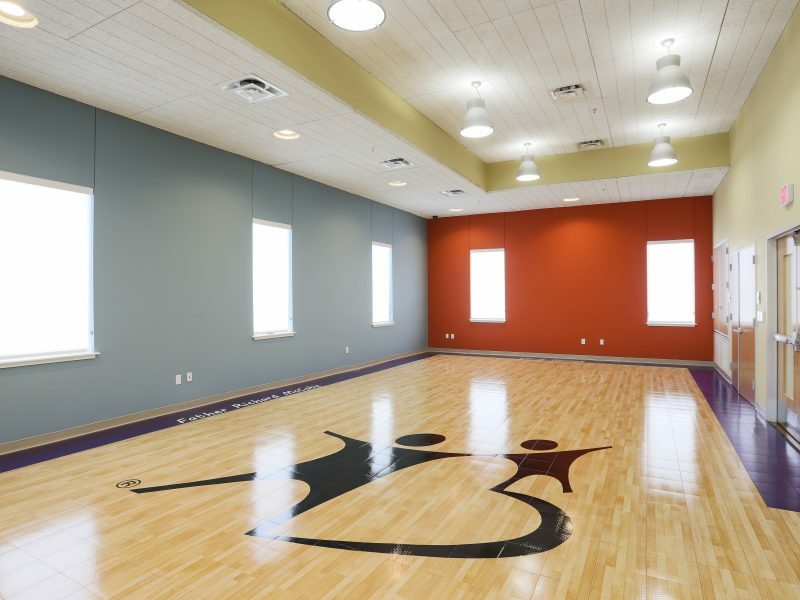 In October of 2016, Big Brothers Big Sisters of Central Texas finally realized a dream that was years in the making– the grand opening of our new Bennett-Rathgeber Mentoring Center. 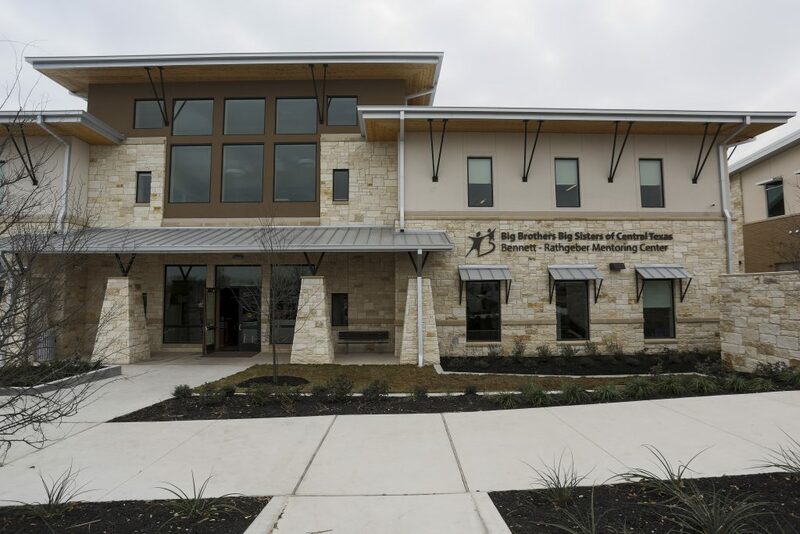 This 24,000-square foot, state-of-the-art facility provides ample space to serve the needs of our current Bigs and Littles as well as room to grow our capacity and serve even more children and families of Central Texas. 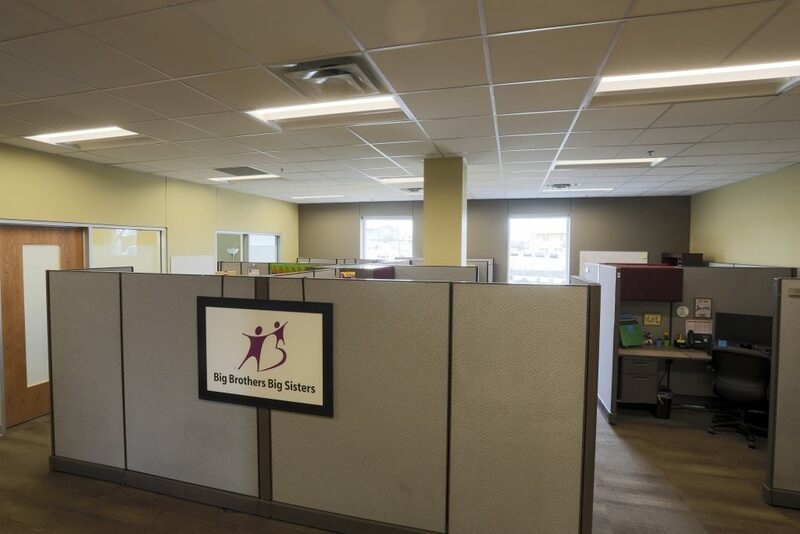 Intentionally designed as an eco-friendly facility that complements the natural landscape, our new Mentoring Center provides a healthy, comfortable and inviting space for Bigs and Littles to spend time together, enrich their relationships and interact with BBBS staff. 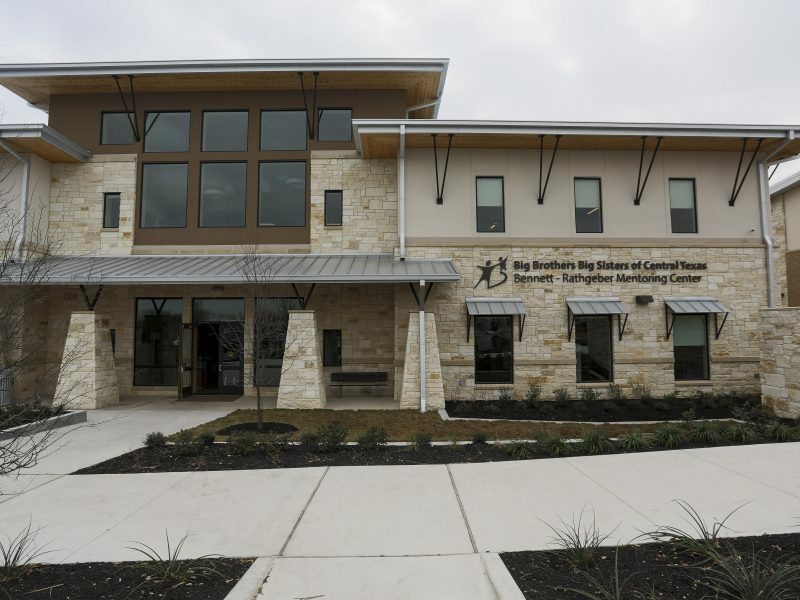 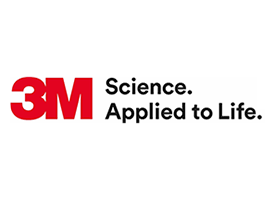 Location – Located adjacent to Austin’s mixed-use Mueller Development in Rathgeber Village, our neighbors include the Austin Children’s Shelter, the SAFE Alliance and the Rise School of Austin. 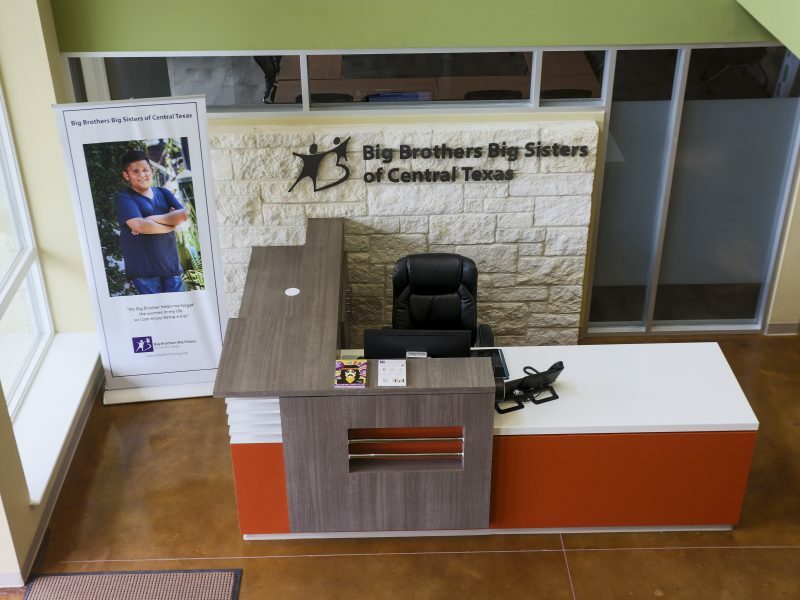 Our proximity to these complementary child-advocacy organizations allows for easier inter-agency collaboration and increases the visibility of BBBS within the larger Austin community. 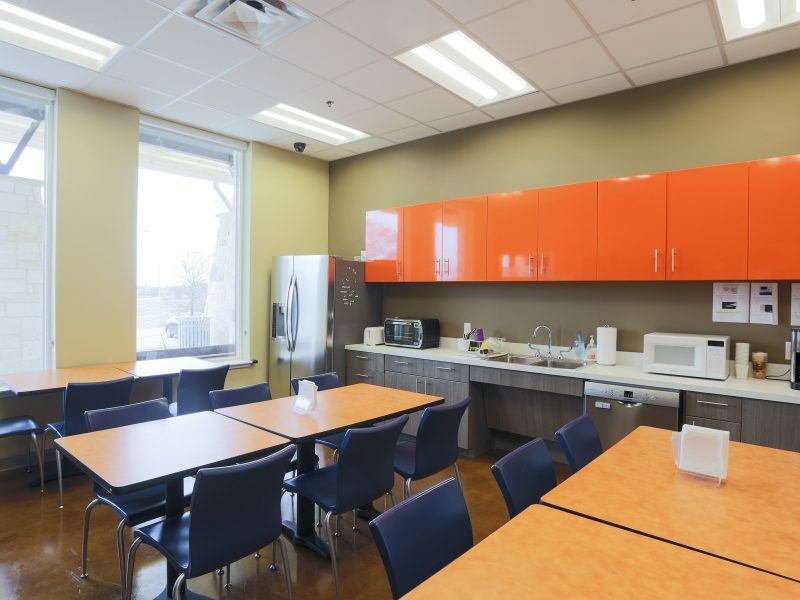 We are situated on a public bus route and adjoin public park space that allows for additional outdoor health and wellness activities. 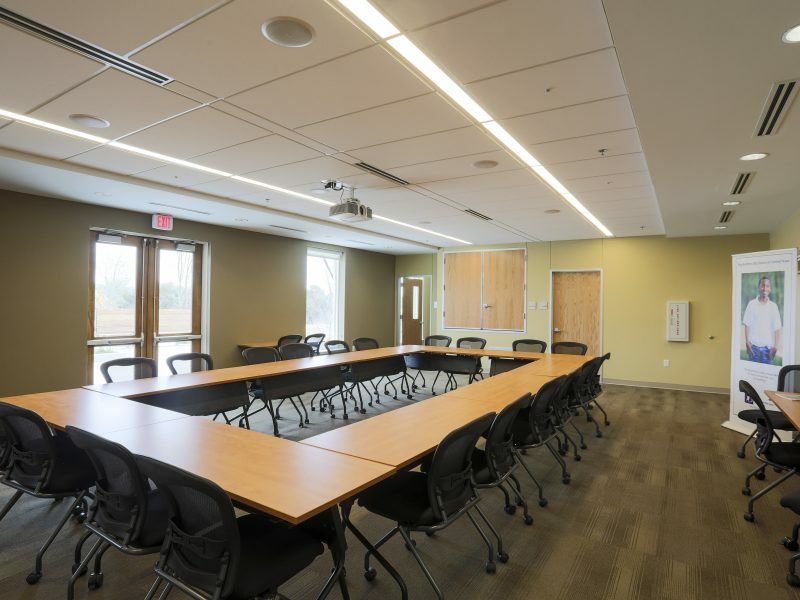 State-of-the-Art Conference Room: This new meeting space incorporates the most up-to-date audio/visual and teleconferencing technologies and allows us to hold meetings and trainings for larger groups. 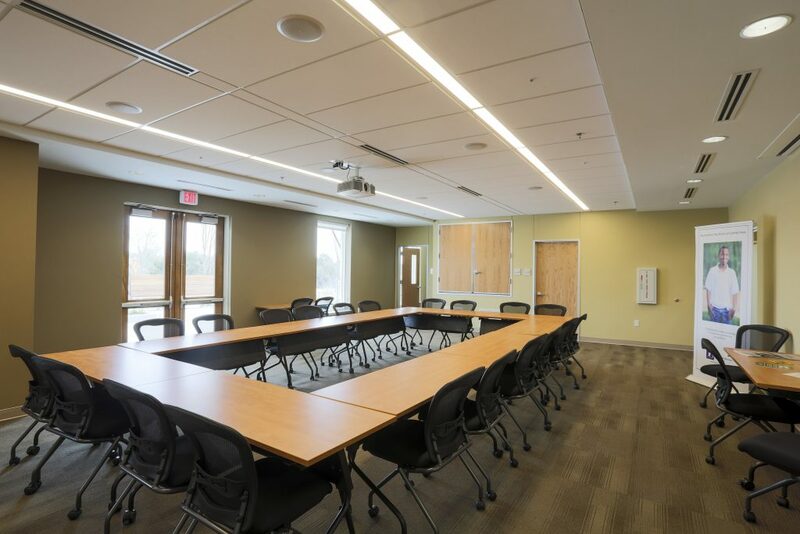 Our conference room is also available to outside groups and organizations in need of meeting or event space and is equipped with a catering kitchen and adjoining outdoor patio. 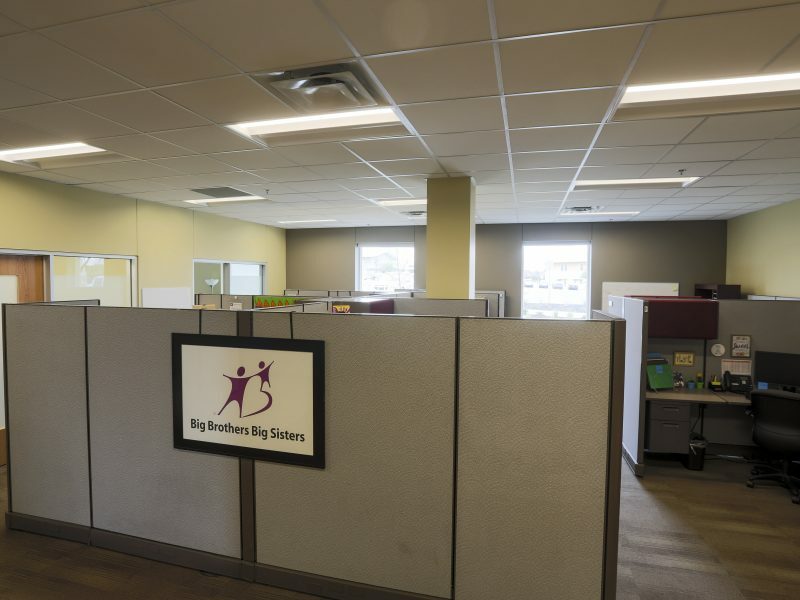 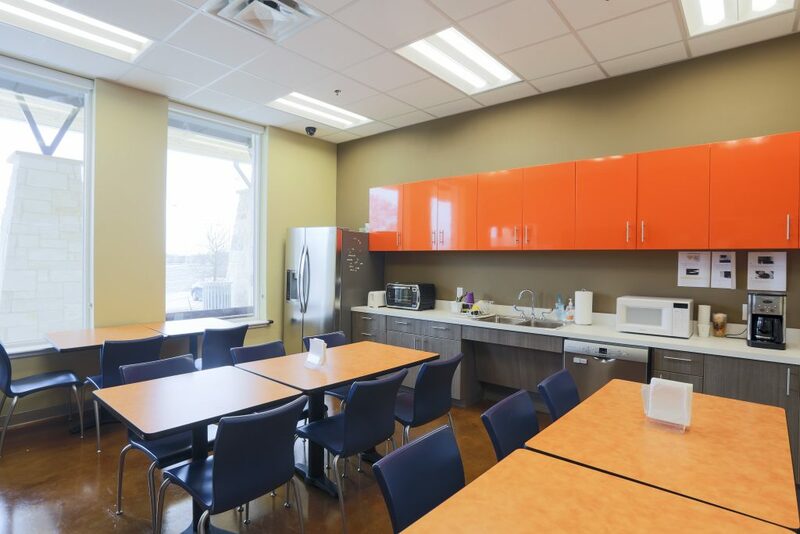 Six Meeting Rooms: In addition to functioning as staff meeting rooms, these spaces also provide comfortable, private areas for Bigs, Littles and their families to meet with BBBS Match Support Specialists. 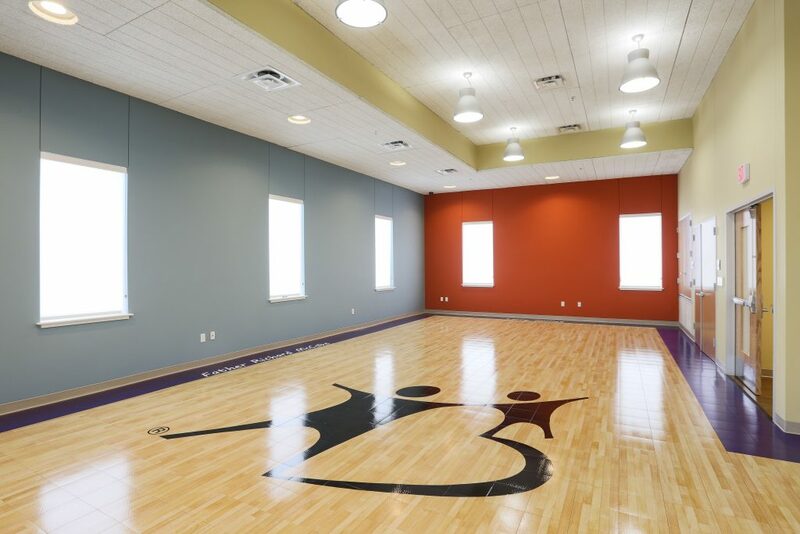 Youth Activity Center (YAC): This dedicated recreational space hosts a variety of event that allow Bigs and Littles to spend quality together, including art activities, games,informal classes, workshops and other special events. 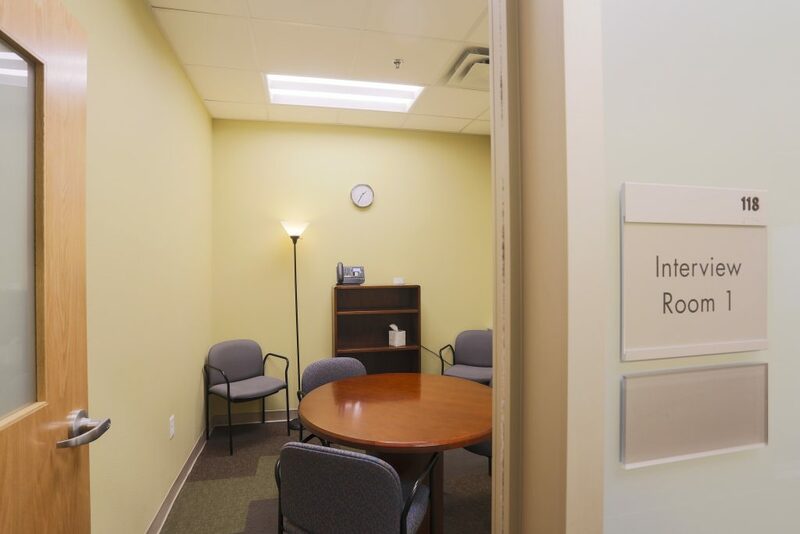 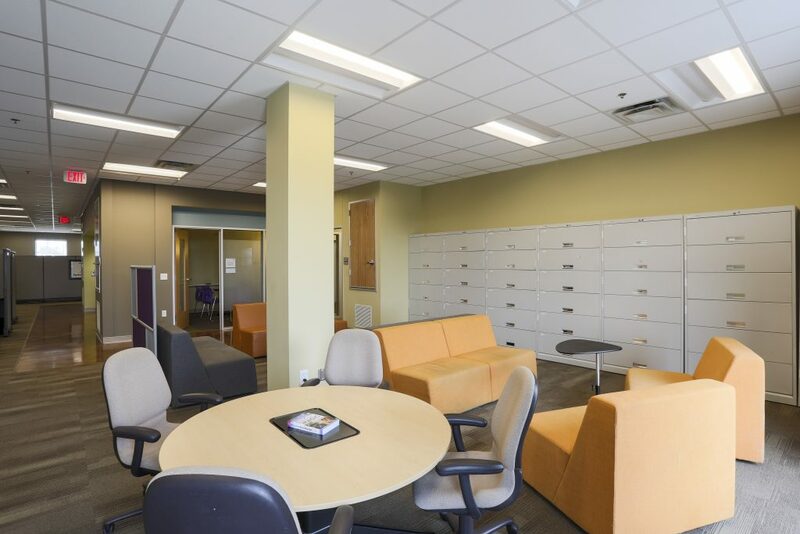 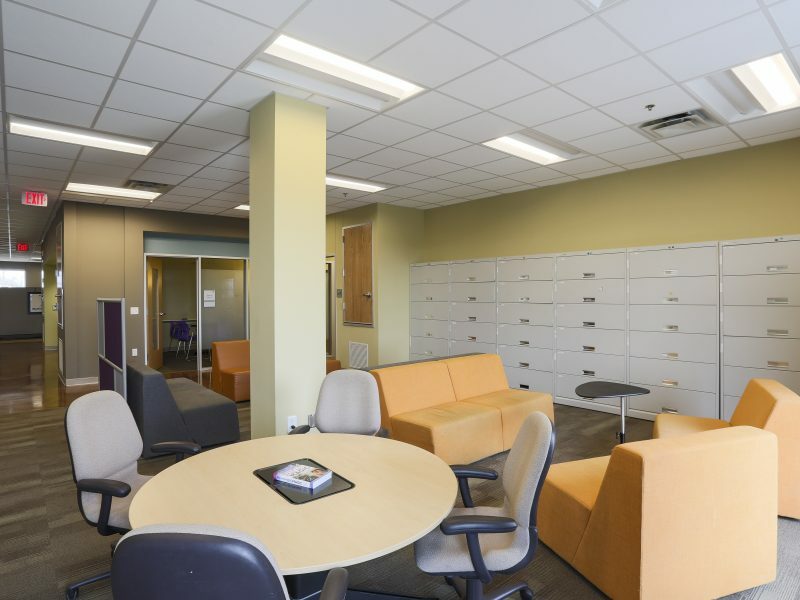 Specialized Spaces: A Meditation Room and Staff Break Room offer employees important opportunities to recharge and connect with each other. 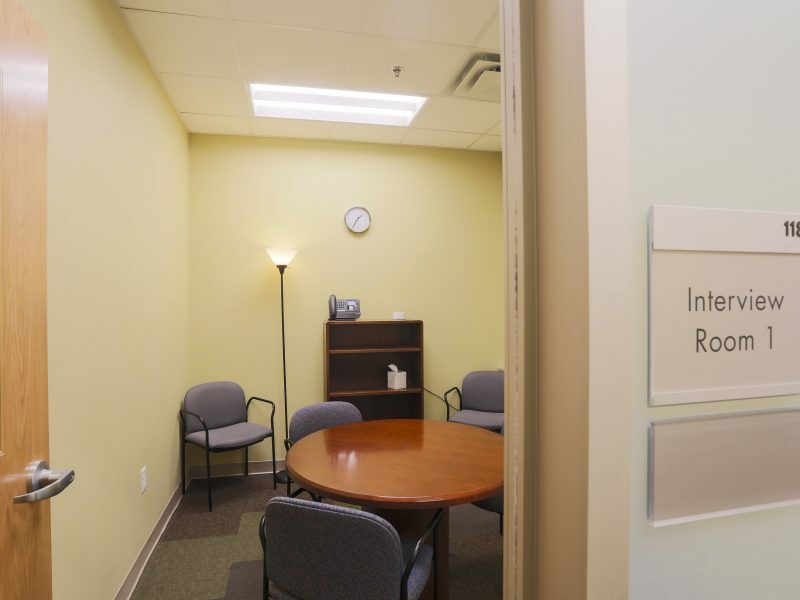 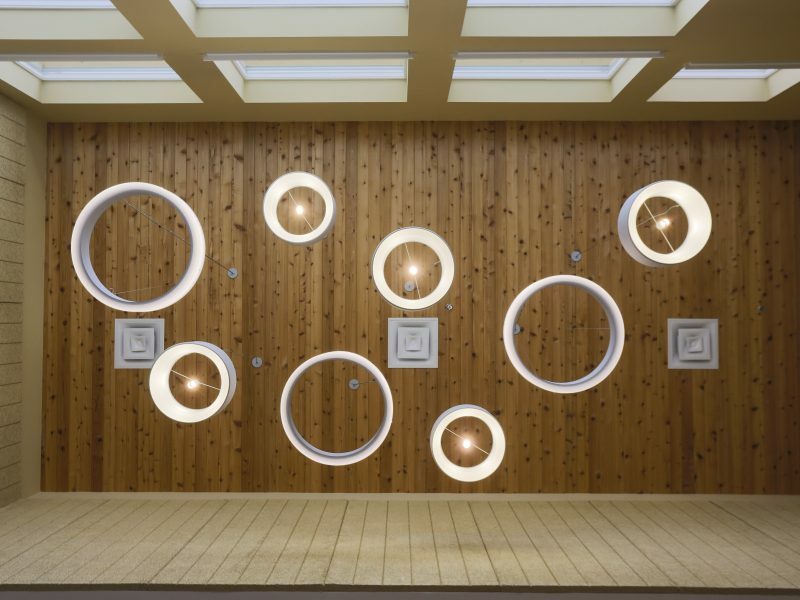 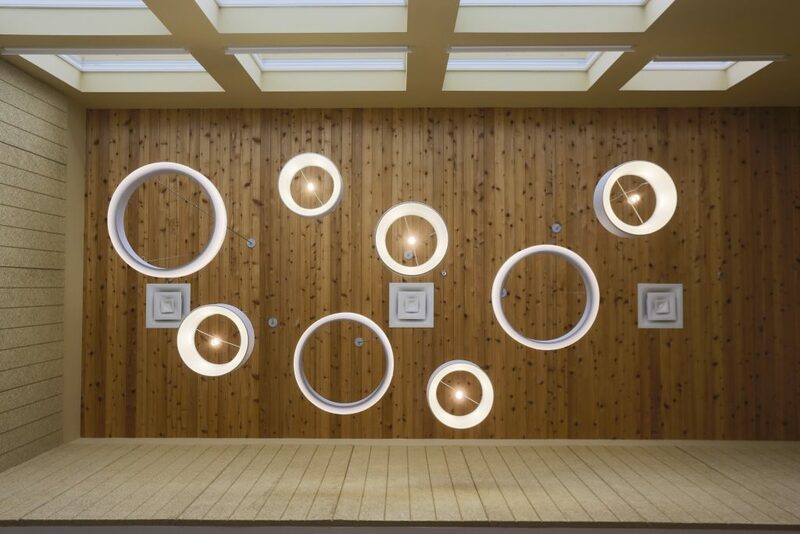 These spaces are also a resource for guests with special needs that require privacy. 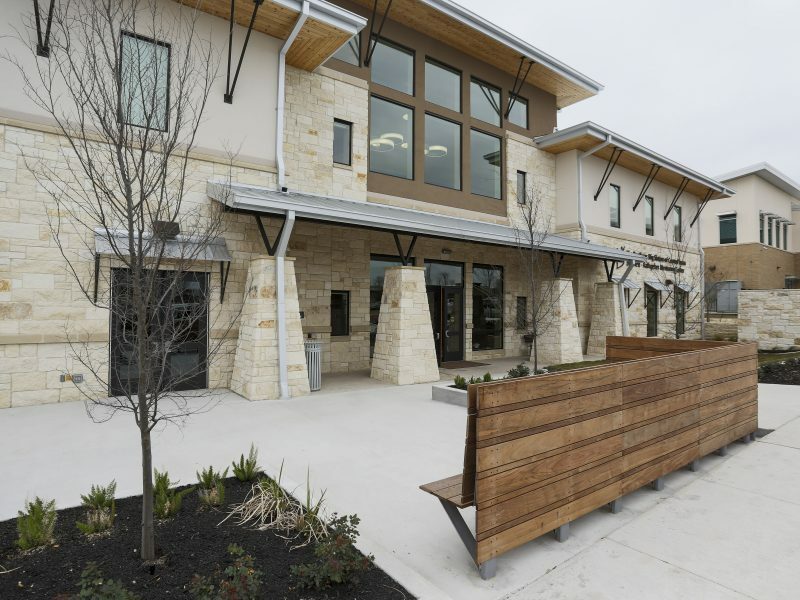 Outdoor Features: Thoughtfully designed landscaping enhances the mentoring center’s surroundings and increases its suitability for educational, social and recreational activities. 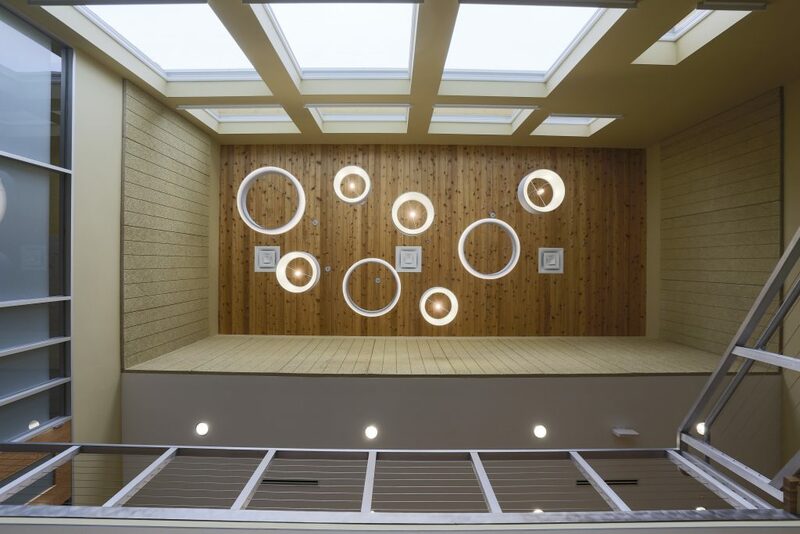 These attractive outdoor features also add to its ability to serve the needs of outside groups and organizations in need of event space. 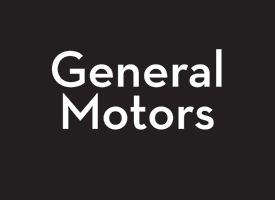 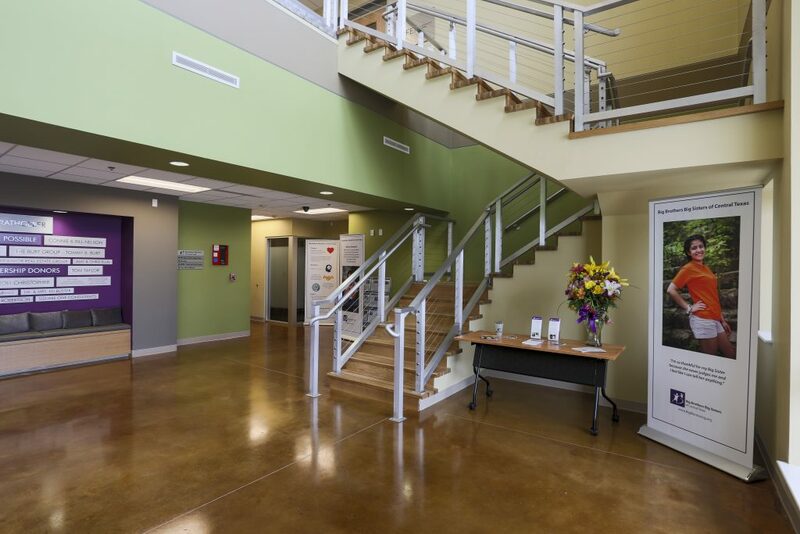 Parking Availability: A 60 space parking lot provides both staff and visitors easy and convenient access to the building. 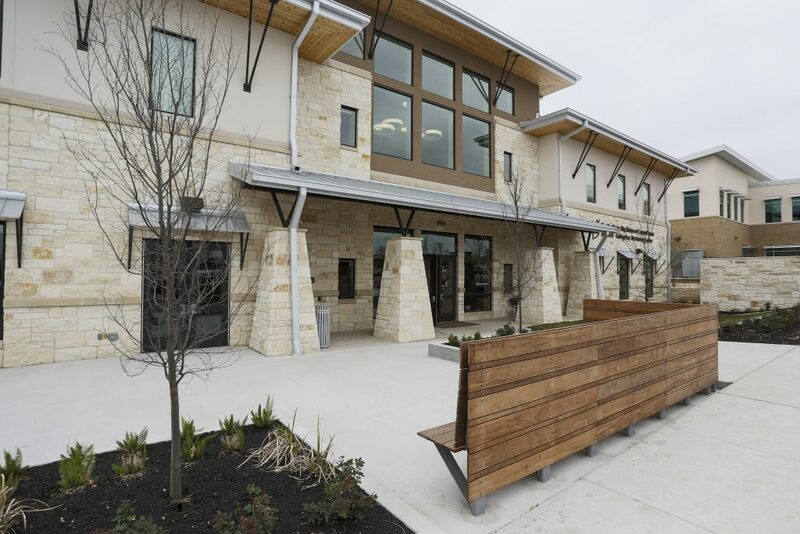 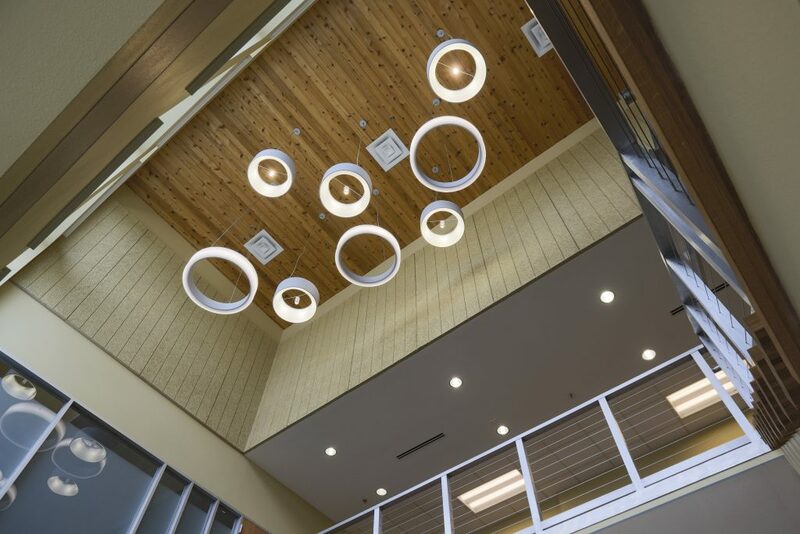 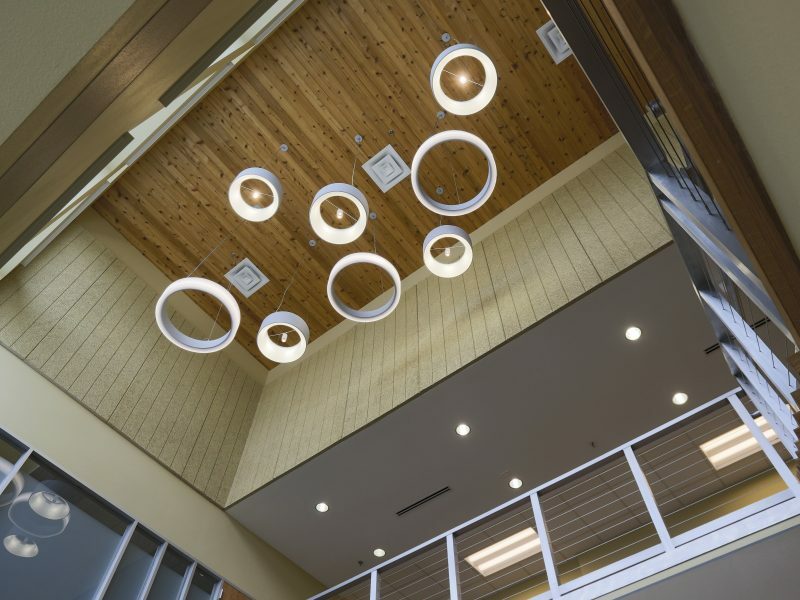 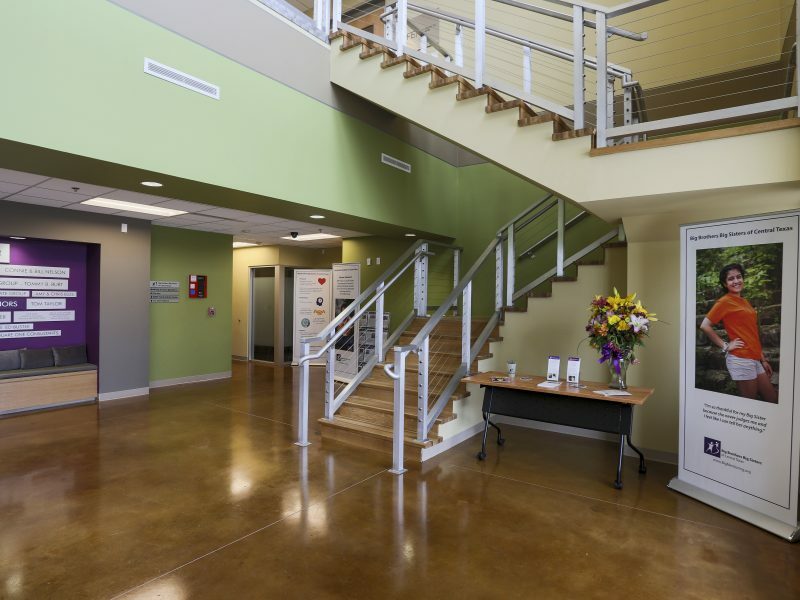 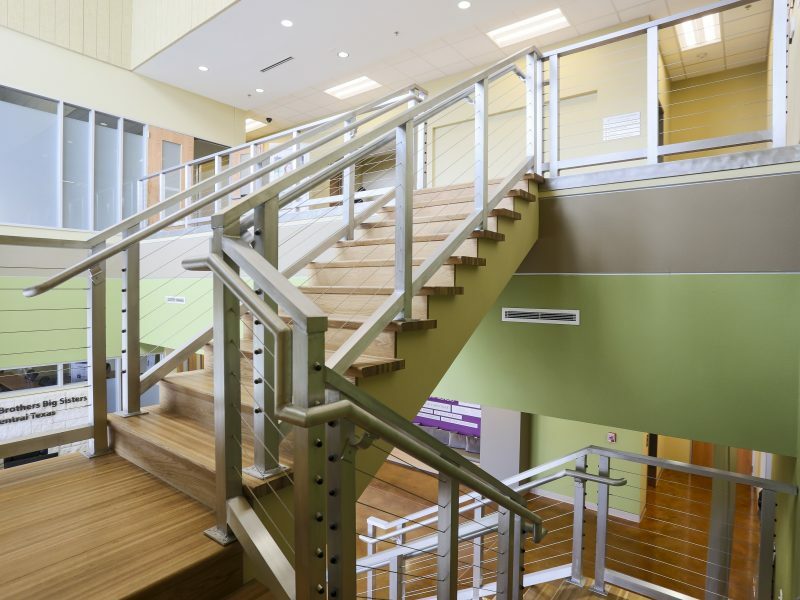 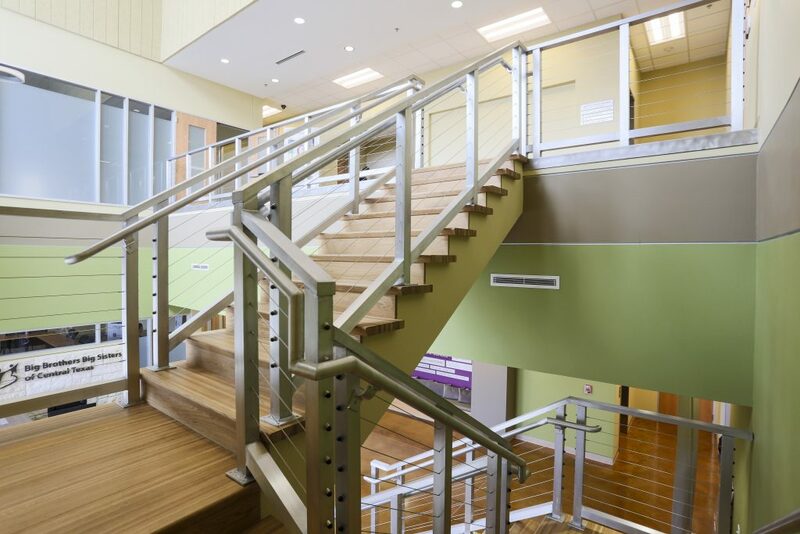 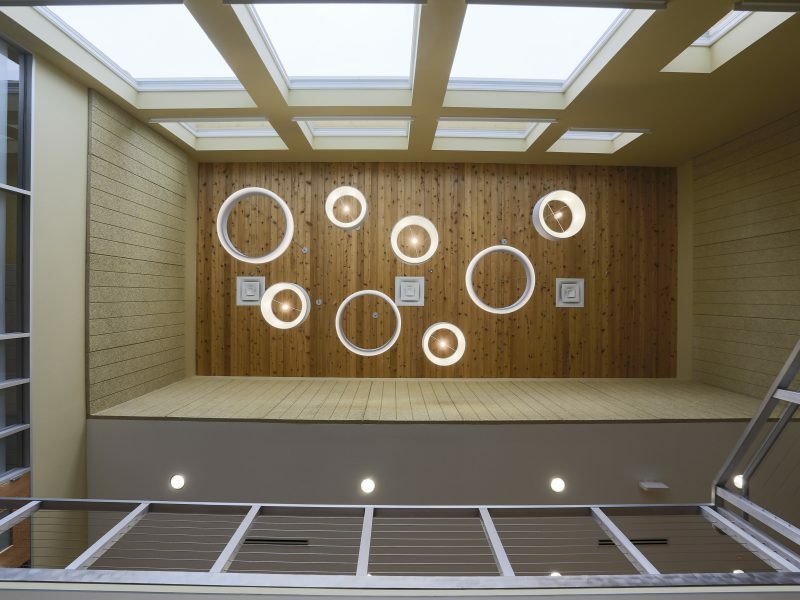 Energy-Efficient Design: With an environmentally friendly design that supports efficient water and energy usage, optimizes natural lighting and incorporates reclaimed and non-toxic building materials, our Mentoring Center is the proud recipient of a 3-Star Energy Award from Austin Energy Green Building. 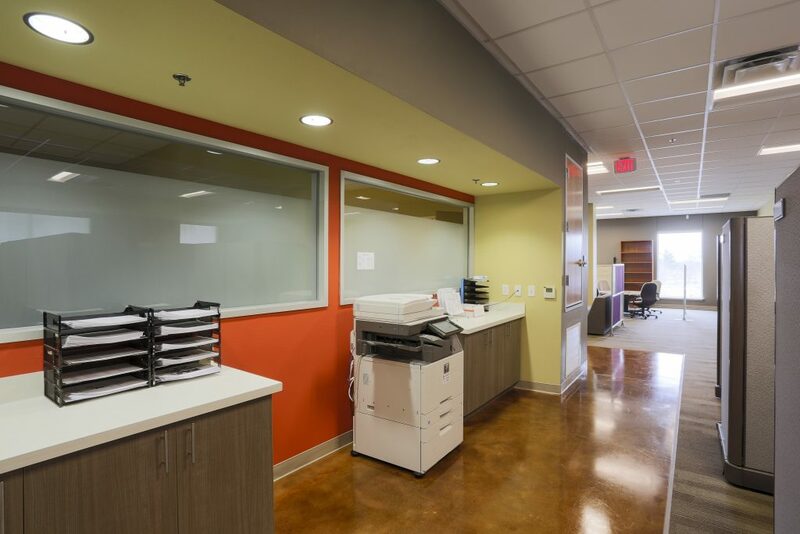 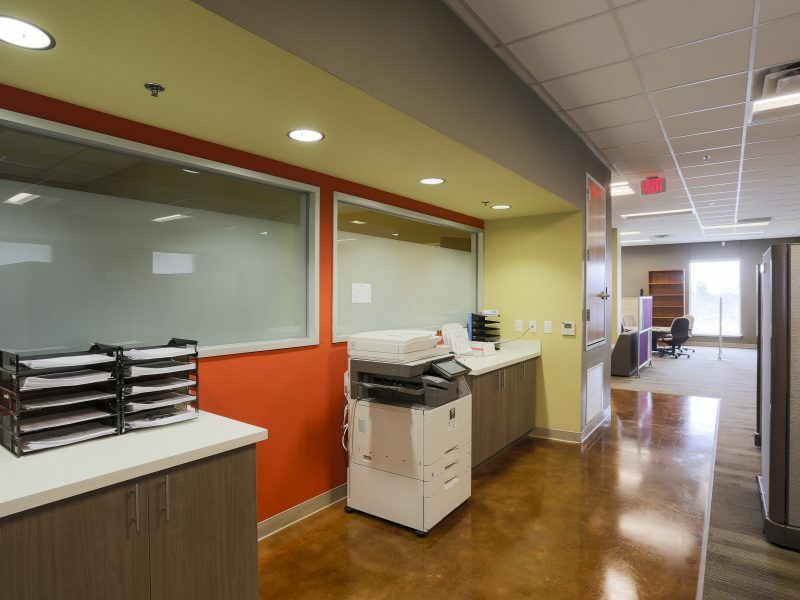 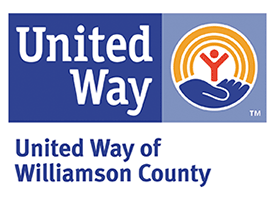 Sufficient Space to Grow: With room to add up to 65 additional work stations, we now have the capacity to grow, increase our reach in the community and serve more Central Texas children and families.